Appearances are very important in life. People form opinions about others based on their appearance. When networking and interacting with people for business, presenting a polished look boosts one’s stature. Professional dress provides many benefits. However, the most important reason to dress professionally is to avoid the consequences of not dressing up-to-par. Dressing inappropriately for a business environment leaves a significant, bad impression in the minds of others. The attire that employees wear has a reflection on the company. Also, unprofessional clothing at work shows poor judgment and immaturity: two qualities that employees (and employers) don’t want to be known for. The attire that men should wear at work depends on the company’s culture. Dressing like other men at the office is a safe and smart decision to make. Men’s business professional attire should be worn during important situations at work such as presentations and meetings. Business professional attire involves a suit, dress shirt, a tie, dress socks, and dress shoes. Different companies have different dress norms. If one does not know what to wear at a company on his first day, one should play it safe by dressing in complete business professional attire. For men, taking off a tie or jacket is easy to do, and is a much better situation than having not dressed up enough. During everyday situations at work, men often dress in business casual attire. At some companies, the everyday dress code could mean one doesn’t wear a coat and tie. In this instance, a collared shirt along with dress pants and shoes is acceptable. The attire that women should wear at work also depends on the company’s culture. Dressing similarly to other women at the office is a safe and smart decision to make. For business professional, skirt suits are recommended, and pantsuits are acceptable too. Classic colors are a safe bet when choosing the color of one’s outfit for work. Blouses that are professional are also needed for women to wear. It is advisable for women to not wear low-cut clothing at the office. Women should avoid risqué attire and instead convey the appearance of professionalism. For business casual, many styles are available for women. However, in all cases concerning dress, judgment is involved to make sure that the attire conveys seriousness that is appropriate for business. If one does not know what to wear at a company on her first day, one should play it safe by dressing in business professional attire. It does not hurt to play it safe. Source: Tarleton State University Career Services. 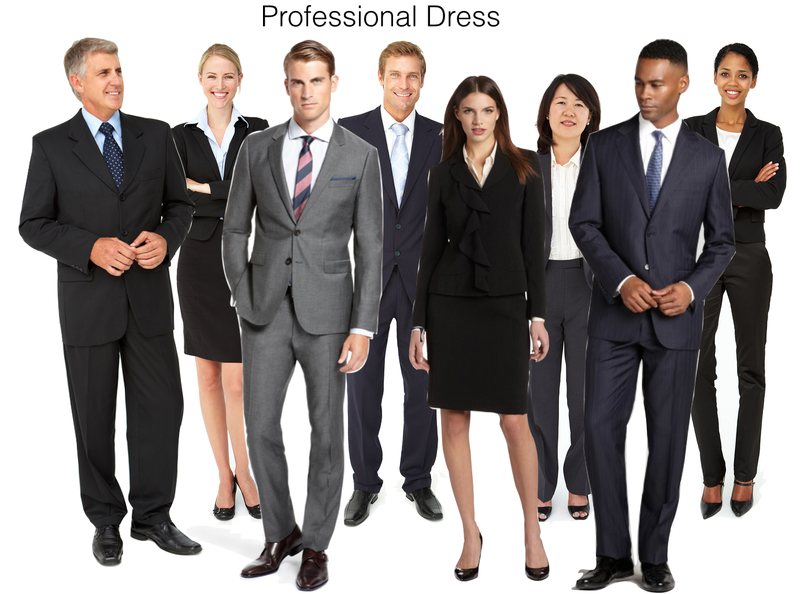 If you want more resources about the topic of professional attire, check out the CCD’s online resources (including a Pinterest board). Additionally, the CCD has partnered with Career Gear and Dress for Success, two local non-profits who can provide individuals with professional dress. Schedule an appointment with Andrew Tessmer, Assistant Director of the CCD, for more information about these programs. 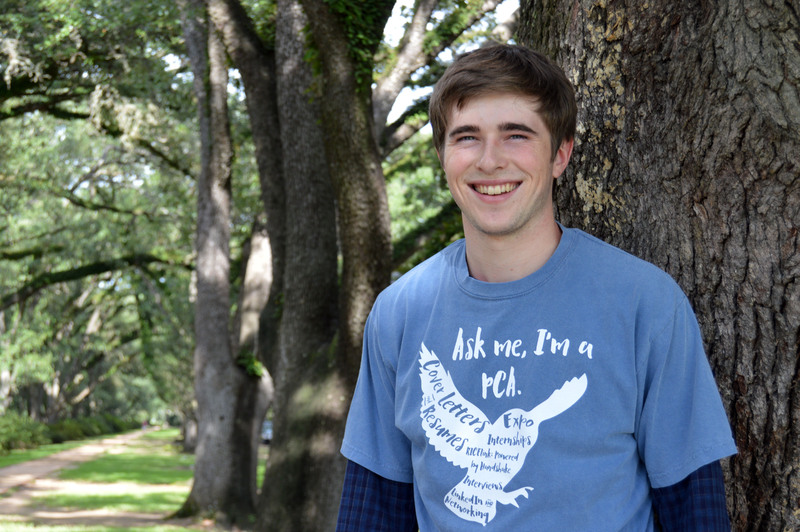 George Randt is a Peer Career Advisor from McMurtry College. 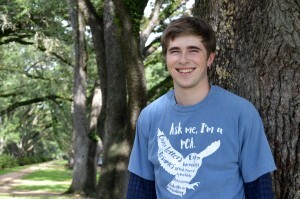 He is a senior studying mathematical economic analysis. © 2019 Take Flight. All rights reserved.